100% Designed and Manufactured in the U.S.A., Aasco's high-quality aluminum flywheels are optimized for normal street use and are a direct OEM replacement that will work with your stock or aftermarket clutch for an easy installation. Enjoy 15% OFF select Billet Flywheels from now through September 20th when you enter promo code AASCO15 at Step #4 during checkout! Last edited by Luccia at Pelican Parts; 09-06-2017 at 12:49 PM. The coupon isn't working for me. It ask for it on step 5, not step 4. Is it working when you put it in at step #5? It's working for me. Can you take a screen shot and show me what it is showing for you? and what part number? Ok but it will have to be later on tonight. I did put aasco in capitals and I notice yours is in lower case. Maybe? It shouldn't make a difference, but try it out and if the result is different please let me know. Also, let me know the part number too because this is for "select" flywheels. Want to make sure we can get down to the bottom of what the issue is so you can get your discount. It's still not giving the discount. I have a 3.4 in my boxster and was trying to buy one for a 996. The boxster and 996 have different part numbers. I'm not sure why as the transmission and engine are basically the same. Woody - can you post the part numbers for me? Shoot me a PM with your email address as well. This is off your website. The flywheel part number 106412-11-m336 for $839 is listed as a aasco lightweight flywheel for the boxster. 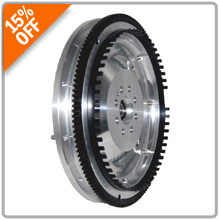 106411-11-M336 for $914 is a 996 aasco lightweight flywheel. I noticed on the thread you posted in the general discussion section that when you go to the link and try to select a year. It has a gap from 1988 to 2009? When you were able to get the discount to work, were you using a 986 as the vehicle? Looks like we may have missed a few part numbers for the promo. I'm having our dev team look into the missing model years and I'll get back to you shortly. Woody - try it now. It should work, but let me know if it doesn't. I sent your info and email to one of our P car specialists. They should email you with a quote with the part discounted. Let me know if you don't hear from them in 24 hours or if you run into any issues. I want to make sure you're able to get this discount.